A changeover on a large scale to battery-electric trucks will be a huge undertaking, according to Penske. “When you think about the enormous amounts of energy required to charge the battery-electric vehicles and the unknown cost component for developing long-term viable solutions that will meet every single customer’s needs — you know those are some big things that the industry really needs to work on and iron out,” Andrew Cullen, senior vice president of fuels and facility services at Penske Truck Leasing, told Transport Topics. “Do we think it can be done? Absolutely. It’s just a matter of when and how and [for] how much money,” Cullen added. Penske will receive 10 eCascadias and 10 eM2s for use in California and the Pacific Northwest by the end of the year as Daimler Trucks North America field tests its Freightliner Electric Innovation Fleet. Overall, Penske has 270,000 vehicles in Class 1 through Class 8 from a wide range of manufacturers, and Cullen expects that diversified approach would not change as more electrified trucks emerge. “The challenges that some of the entrants face is not necessarily the architecture, the design, the manufacturing of the vehicles — it’s really the support mechanism after the sale, whether it be parts or service centers or trained technicians. It’s something they have to overcome versus somebody who has been at this a long time like DTNA,” Cullen said. That service will include working on hazardous high-voltage charging systems that are far more powerful than batteries used in other commercial vehicles now. Electrical hazards can cause burns, shocks and electrocution, according to the Occupational Safety and Health Administration. “From everybody we have talked to and some of the current product we have — you are looking 600 to 700 volts from a source standpoint [with battery-electric trucks]. So obviously there has to be a lot of safety training that takes place, even for somebody just working in a facility with these kinds of vehicles, to understand the do’s and don’ts,” said Mike Hasinec, vice president of maintenance at Penske Truck Leasing. 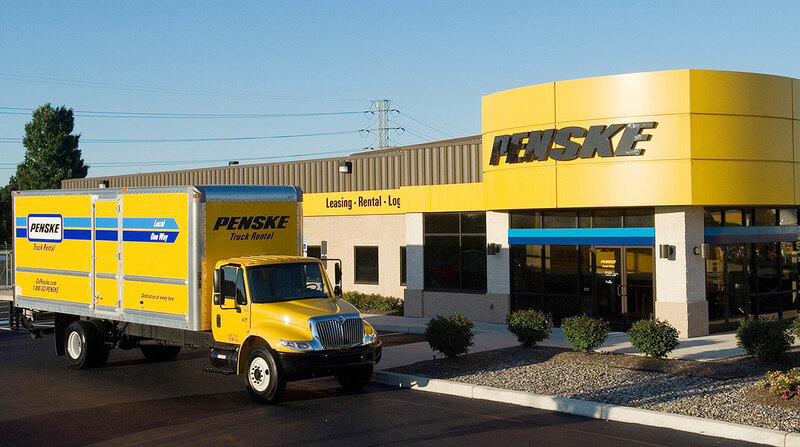 Penske plans to train employees on how to disconnect the main power source, and change out the batteries and some of the modules that would be connected to those batteries, for instance, Hasinec said. The National Institute for Automotive Service Excellence is looking at creating specifics for working with these battery-electric systems, he said. ASE has had certifications for diagnosis and repairs on hybrid-electric vehicles, mainly passenger cars, since 2014. Meanwhile, it may be time to take a breath, Hasinec suggested. “At the end of the day, I think people look at this and over-complicate [truck electrification]. Because these vehicles are going to still have a lot of the same attributes or components as a diesel,” he said. That includes brakes, air conditioning, lights, power steering and more. “The only real difference is the powertrain,” he said. It will take 20 years to build a good, solid infrastructure to support a battery-electric Class 8 tractor going from Reading, Pa. — where Penske is headquartered — to Los Angeles, he added. “Diesel is not going anywhere for quite a while,” said Hasinec.